Pharmaceutical companies should have to prove that any new opioids work better or are safer than current painkillers, the departing head of the Food and Drug Administration said, laying out a vision for replacing the drugs blamed for sparking an overdose epidemic. FDA Commissioner Scott Gottlieb, who plans to leave his job at the agency next week, wants companies to develop pain drugs that could eventually allow older opioids to be restricted or to come off the market entirely. “Given the public health crisis we face, and that American families are still being destroyed by the opioids epidemic, I believe that the FDA should treat opioids, as a class, differently from other drugs,” Gottlieb told a Senate appropriations subcommittee on Thursday. In 2017, 47,600 Americans died from an overdose involving opioids, according to the National Institute on Drug Abuse. The FDA has been criticized for approving AcelRx Pharmaceuticals’ Dsuvia, a version of fentanyl that is taken under the tongue. Sen. Edward Markey (D-Mass. ), called Dsuvia “a new supercharged painkiller that would only worsen the opioid epidemic.” Gottlieb said at the time of the drug’s approval in November that the FDA should be looking into whether it should institute a comparative-benefit requirement for new opioids. The commissioner’s last day is April 5, making implementation of his vision less clear. He will be succeeded on an acting basis by Ned Sharpless, the director of the National Cancer Institute. Even if the FDA advances the plans, they would take a long time to become reality. 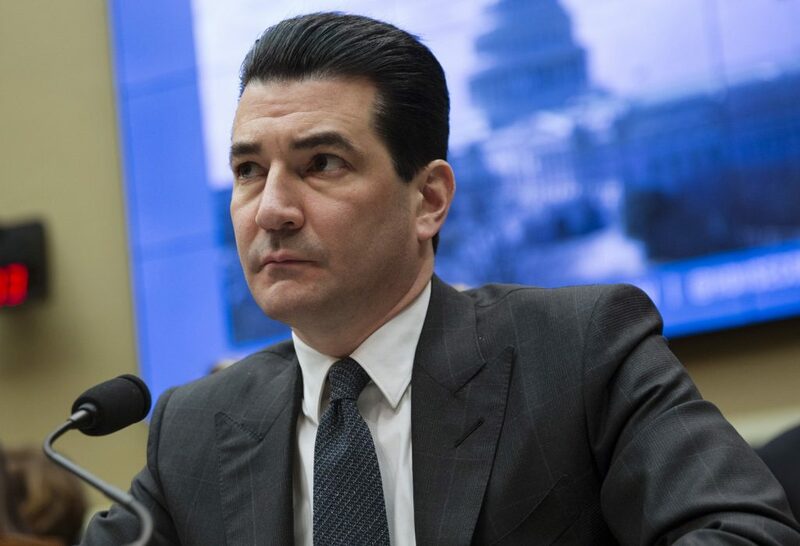 Gottlieb encouraged Congress to grant opioids that are proved to be safer a period of additional time to sell their treatment without competition to prod development of such drugs. One way to prove that an opioid is better than older ones is to show that it has abuse-deterrent properties, Gottlieb said. Drugmakers have had a tough time getting approval of abuse-deterrent versions because the technology meant to prevent crushing or snorting hasn’t always worked well. Eventually, Gottlieb said, the FDA could find that the benefits from older opioids no longer outweigh the risks. The FDA pulled one painkiller, Opana ER, off the market in 2017, citing the drug’s high risk of abuse and potential to help spread HIV and hepatitis C when injected. “We need to be willing to embrace actions in the setting of opioids that we must accept would be unsuitable to any other drug category,” Gottlieb said.